It’s Boris the Wolf… in Pop! Vinyl form! He’s big, and he’s a wolf… but poor old Boris definitely isn’t bad. In fact, with all the help he gives Henry as he battles Ink Bendy, he’s one of the heroes of the saga! That’s why Boris gets an exclusive edition, and why that edition belongs in your collection! 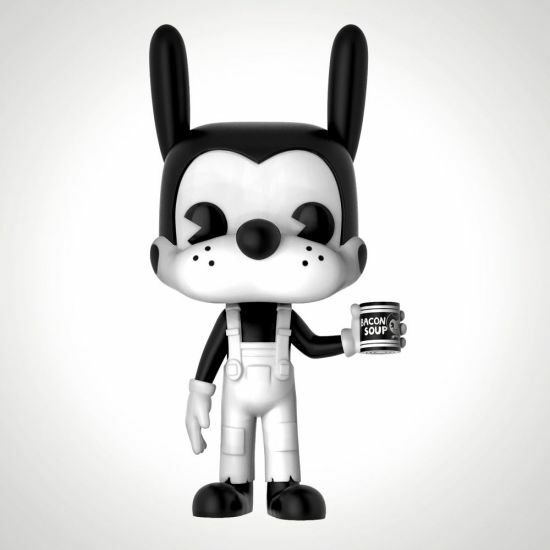 So, if you’re a fan of Boris, like we are, you’ll love this Bendy and the Ink Machine Boris with Can Pop! Vinyl! In the early stages of his possession of Joey Drew Studios, Bendy (or was it Alice Angel?) gave us a first-hand, insides-and-all view of what actual Boris is made of (or, at least, what his clone is made of). But, unlike the poor wolf strapped to that table, this collectible is made of vinyl. Though, unlike the imperfect Boris clones, this Boris has been perfectly replicated thanks to Funko’s magic touch! So, if you want Boris with the same ferocity as Alice and Bendy do (but with less creepiness), be sure to buy your Boris with Can Pop! Vinyl today!